Paper Cup - Gold - Oh Baby! 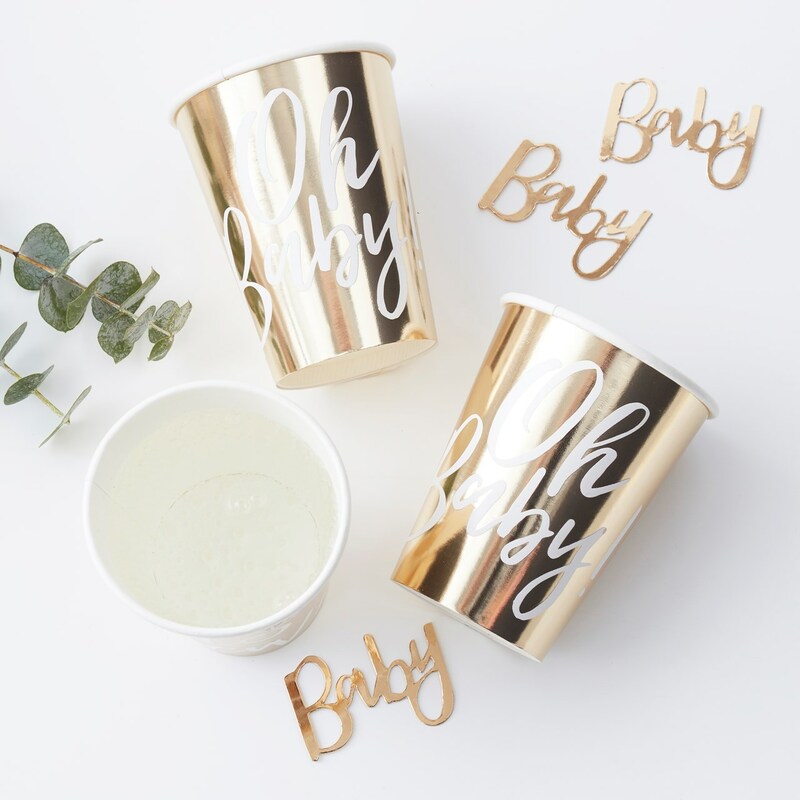 Our beautiful ""Oh Baby"" shiny gold foiled cups will look stunning at any baby shower and suit any theme. The elegant gold foil cup with white scripted writing will shine around the room for a perfect baby shower celebration. Team our cups with plates, napkins and advice cards from the ""Oh Baby"" range for the perfect setting. Each pack contains 8 cups measuring 95mm (H) by 80mm (W). Each cup holds 9oz.